Hanoi (VNA) – The property sector will continue to be a fertile ground for foreign investors, largely due to the country’s rising demands for housing as well as deeper global integration with a line-up of bilateral and multi-lateral new-generation trade pacts. According to report from the Ministry of Planning and Investment’s Foreign Investment Agency, real estate was the second most attractive sector to foreign investors in the first quarter of this year, absorbing 778.2 million USD or 7.2 percent of the total FDI inflow in the period. Chairman of the Vietnam Real Estate Association Nguyen Tran Nam said that more than 70 million square metres of floor space have been developed each year since 1999, and the figure will increase to 100 million in the following years under the national housing development strategy, not to mention service and office space, and industrial, transport and urban infrastructure. 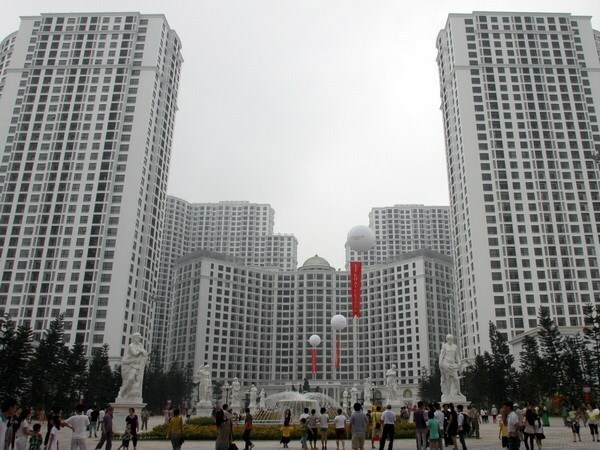 Meanwhile, a survey by real estate services firm JLL showed that as rapid urbanisation will put pressure on housing needs, Vietnam will need up to 5.1 million apartments in the low and middle-end segments in the next ten years. Experts have said that the low- and middle-end segments will continue to dominate the market this year while the upscale segment will face tough challenges. In Ho Chi Minh City, demand in the high-end segment has dropped remarkably as the astronomical prices have made them less attractive to the investors. Meanwhile, low-cost products enjoy good sale in Hanoi, with the absorption rate of 76 percent.